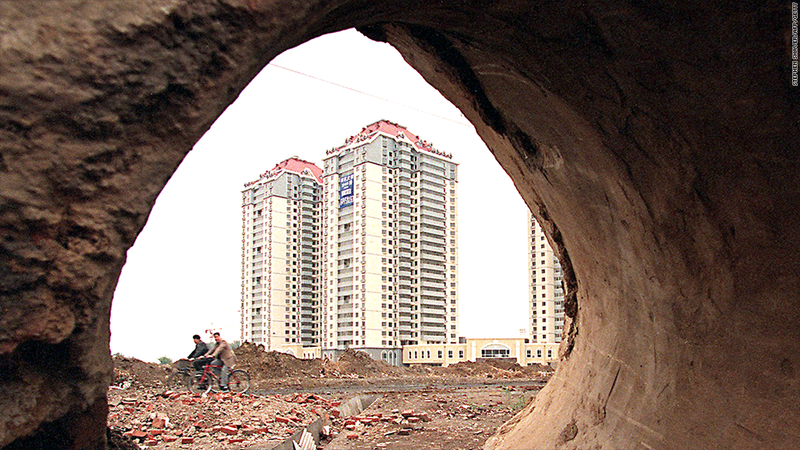 China's property market slump is threatening the country's overall economic growth. A dramatic building boom helped China to develop the world's second largest economy. But now, economists say, a runaway real estate sector poses the greatest risk to growth. Eight out of 10 economists say the property market poses the biggest threat to the economy, according to a new survey conducted by CNNMoney. That's a shift from the previous three quarters, when most economists identified credit growth as the primary hazard. "The major concern is oversupply -- property construction has been growing at an unsustainable rate, with the pace of urbanization having peaked," said Qinwei Wang of Capital Economics. "With developers' inventories of unsold property still increasing, real estate looks set to remain a drag on the economy." It's easy to see why economists are concerned. JPMorgan estimates the sector and related services make up about 20% of GDP, and property investment alone accounted for more than 15% of economic growth last year. Already, ailing developers in the country's smaller cities are offering big discounts to unload property. Even major cities have seen falling prices and waning real estate investment demand. Economists worry that a housing shock could ripple out to the broader economy, especially the banking sector -- which provides financing to many developers. In addition, real estate is closely tied to the manufacturing and services sectors. A sluggish property market could also hurt Beijing's ability to hit its official GDP growth target of 7.5% for 2014. Some analysts argue the point of no return has passed. Nomura economists, long among the most bearish of bank analysts, said in May that China's property bubble has already burst, and the country's economy could slow dramatically unless Beijing steps in with new stimulus measures. "It is no longer a question of 'if' but rather 'how severe' the property market correction will be," the bank's analysts said in a report. To combat a sluggish property sector, economists surveyed by CNNMoney expect the central government to continue to prod local jurisdictions to relax restrictions on multiple home purchases. Those rules were previously put in place in an attempt to arrest rising property prices. 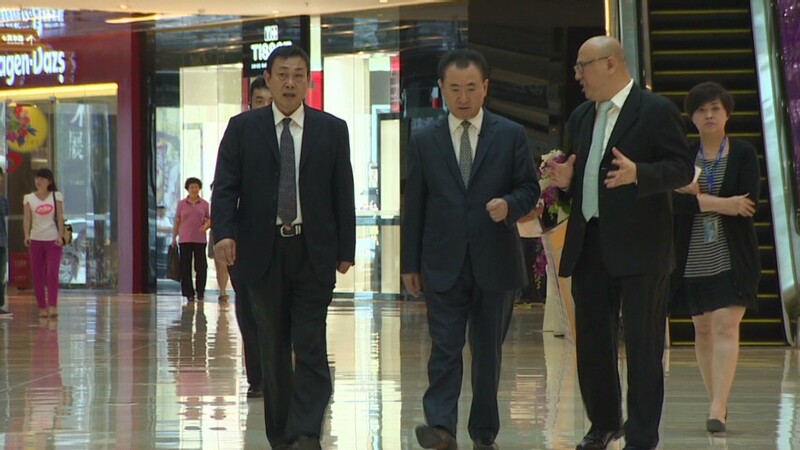 Analysts say China will also have to rely heavily on other areas, such as exports, to support growth if the property market continues to flounder.